When I was ordained, I received many useful gifts. I received a Prayer Book-Hymnal combination embossed with my name. I received an oil stock, in which to keep holy oil with which to anoint the sick. I received a stoles of every liturgical color, so I would be appropriately appointed throughout the church year. But the most memorable gift I received was not a bible, prayer beads, or even a gift card to a restaurant. It was a Jesus action figure. (Yes, you heard that correctly.) The Jesus action figure was 11 inches and 5.6 ounces of glossy, molded plastic salvation. His posable arms could be raised to heaven in prayer or forward to bless the masses. Most spectacularly, Jesus action figure was equipped with what the manufacturer emblazoned across the packaging as his “gliding action.” The figure had at its base tiny casters, so that Jesus rolled from placed to place, hovering, God-like, a millimeter in the air. Jesus’ feet never touched the ground. In case you’re thinking that a Jesus action figure is unconnected to reality, we might ought to look again at today’s Liturgy of the Palms Gospel. This is the year we read from Luke, and Luke’s palms narrative is different from that of the other Gospels in one very important respect: In it there are no palms! Did you notice that? In Luke, we have no mention at all of the people waving palms fronds before Jesus. Instead, in Luke the people take off their cloaks and cover the road in front of Jesus. 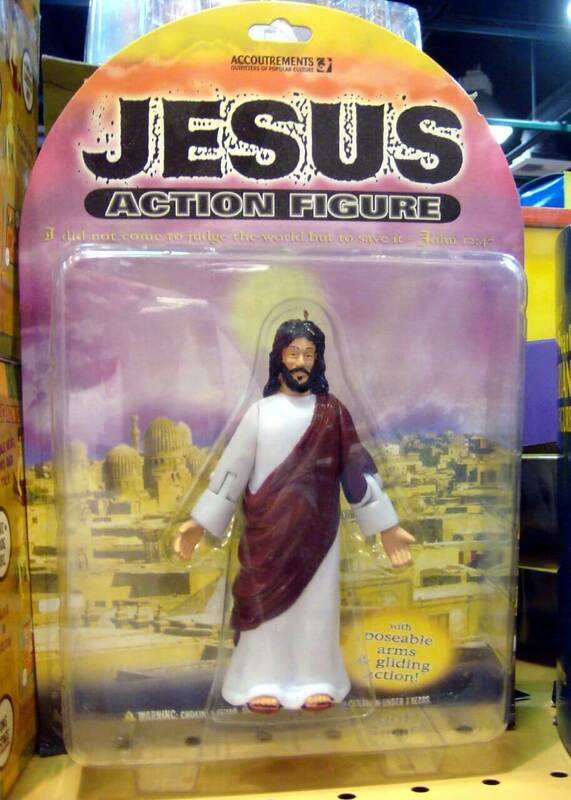 And so, it turns out the Jesus action figure is, at least in this instance, biblically accurate. In Luke’s Palm Sunday narrative Jesus’ feet never touch the ground. There are, of course, innumerable instances in literature where a cloak is placed on the ground to prevent earthly contact with someone’s feet. The most pronounced examples are from the Age of Chivalry, when dashing knights protected the feet of lovely maidens by laying their cloaks across muddy paths. Those maidens are always surrounded by a heavenly aura, as chivalry insisted that they are something more than merely human, that the knight must protect them from being sullied by the world. That is exactly what’s going on in Luke. The Evangelist even adds that the people laid their cloaks on the road and praised Jesus “for all the deeds of power that they had seen.” In other words, the people want Jesus to be God-like, something powerful and other. They don’t want Jesus to be like them, and they create a pretense to the contrary, so that Jesus is not sullied by the dirt and grime of the world. Christians today very often might as well be those gathered on the downslope of the Mount of Olives in Luke. Too often, the Jesus described by churches and yearned for by people is the one who glides a half inch off the ground; the one who performs deeds of power on request; the one who, though he looks like us, isn’t quite the same thing. Indeed, such a Jesus has been desired throughout Christian history. Two huge movements in the early Church, Docetism and Apollinarianism, each in its own way claimed that Jesus wasn’t really like us, that he wasn’t of the mud and muck of this world. Jesus was God pretending to be a person, akin to the Greek god Zeus taking on human form. Jesus glided above us, so to speak, full of power and never quite human. 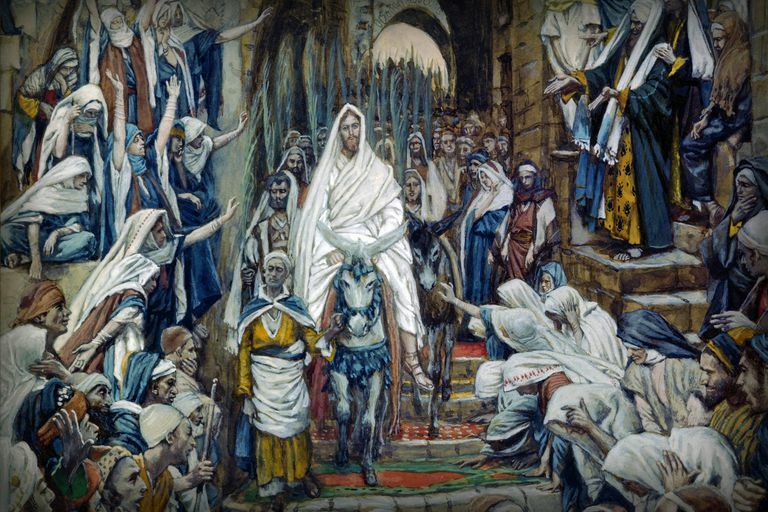 But it turns out that Jesus enters Jerusalem on Palm Sunday and will not perform deeds of power. Instead, he gets angry, and then sorrowful, and then anxious, “sweating tears like blood,” as Luke describes him in the Garden of Gethsemane. The people see this, and suddenly the illusion they’ve constructed is dispelled. Jesus doesn’t exist above the fray; he charges into it. Jesus doesn’t stand apart from the things that vex us, and weaken us, and bring us to the ground on our knees; he opens himself to the full range of human joy and pain. Jesus doesn’t glide above the dirt; he lives in it. I think that’s why, later in Passion Week, the crowd so quickly turns on Jesus. That’s why the joyous hosannas so easily become enraged cries of “Crucify him!” The crowd is looking for a particular kind of messiah, and once Jesus gets down off that colt, he just looks and acts human. In their disappointment, disillusionment, and disgust, the crowd encourages Pontius Pilate to treat Jesus like the dirt in which he plants his feet. And as Jesus succumbs to being humiliated, scourged, and hung on a cross, the crowd feels justified in abandoning an all-too-human messiah. But here’s the thing: Docetism and Apollinarianism were both declared heretical by the Church, and the Jesus action figure is, too. Rightly, the Church can have nothing to do with a Jesus whose feet don’t touch the ground. Such a Jesus is good for the occasional parlor trick, but not for real life. We don’t need the Jesus of Southern Sunday school portraits, with doe-y, upcast eyes and a gauzy glow. We don’t need the Jesus who glides around in, but is not of, the world. We need the Jesus who shows up in the ambulance bay, and after the hurricane, and when we feel abandoned as the world around us is crashing. We need the Jesus who embraces us because he has known our joy, our sorrow, and our loss. We need a fully human Jesus, who steps, deliberately and repeatedly, into the muck and mud. That Jesus is not one who hurls a lightening bolt or wrenches us out of the world, but he is the one who will walk through the world with us, from the hosannas of the Mount of Olives to the agony of the Mount of Calvary. He himself makes that trip this week. I hope we will walk with him. Are these two separate occasions in the life and ministry of Jesus? Did Jesus preach two different sets of Beatitudes? Maybe, but that misses the point, I think. Matthew and Luke are trying to convey different theological truths in the ways they portray this sermon. So, what are those truths? Matthew wants to emphasize the spiritual, and in so doing it is important to him to locate Jesus on a “high place.” It is both geographically and metaphorically universal in religion that people meet God and connect with the divine on mountaintops. By setting the Beatitudes on a mountain, Matthew hearkens to this pervasive spiritual phenomenon. 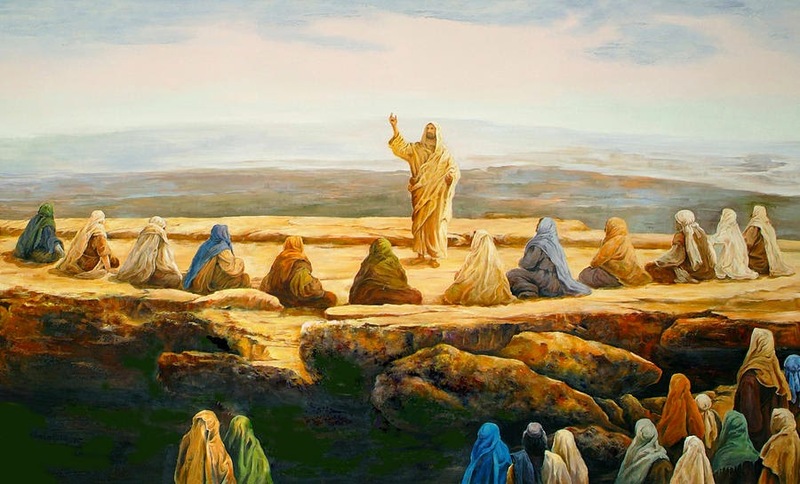 Jesus’ Gospel words come down the mountain to the people just as, for instance, God’s commandments came down Mount Sinai through Moses millennia before. Luke’s less-referenced version of the story, which we read today, actually offers a much more radical and uniquely Christian truth. In Luke, it is not God’s words that waft down a mountain and settle among the people. Rather it is God’s Word, the very person of Jesus, who himself comes down onto a level place with the people. God deigns to descend to our level, in other words, and be intimately with us. God deigns to descend to our level and be intimately with us. This is further emphasized by the difference in the message Jesus preaches. Matthew’s “Blessed are the poor in spirit” becomes, in Luke, “Blessed are the poor.” “Blessed are you who hunger for righteousness” becomes “Blessed are the hungry.” In other words, Luke takes Matthew’s spiritual claims and recasts them with a gritty realism. I think we prefer Matthew’s more spiritualized version of these promises because in Luke it seems as if Jesus may be peddling an opiate for the masses by promising those who actually, physically suffer in this life a delayed reward in the next life. But what if Jesus isn’t talking primarily about the afterlife? What if what Jesus means is that the poor, and the hungry, and the sorrowful, and the persecuted have a blessing, an advantage, now, in this life, in this moment that the rest of us lack? That seems like a contradiction. Can it be that the suffering simultaneously are blessed? The poor know they are in urgent need of redemption. The poor know not only their dependence on God…but also their interdependence on one another. The poor rest their security not on things but on people. The poor have no exaggerated sense of their own importance, and no exaggerated need of privacy. The poor expect little from competition and much from cooperation. The poor can distinguish between necessities and luxuries. The poor can wait, because they have acquired a kind of dogged patience born of acknowledged dependence. The fears of the poor are more realistic and less exaggerated, because they already know that one can survive great suffering and want. When the poor [hear the Gospel], it sounds like good news and not like a threat or a scolding. The poor can respond to the call of the Gospel with a certain abandonment and uncomplicated totality because they have so little to lose and are ready for anything. Do I really and truly recognize that I am in need of redemption? Do I recognize my interdependence with other people? Can I distinguish between true necessities and luxuries? Do I have patience to wait on good things? Does the Gospel feel like liberation or scolding to me? Am I able to respond to God’s call with joy and abandon rather than begrudging hesitancy? What about you? If today we aren’t poor, or hungry, or sorrowful, or oppressed, then the Beatitudes remind us that we have been, or someday will be. (That’s what the second half of the Beatitudes are all about.) As fragile, mortal creatures, our well-being is always temporary, and our self-sufficiency is always illusory. The Beatitudes cause the scales to fall from our eyes and grant us the gift of shedding the illusion, so that we realize anew just how dependent we are upon one another and upon the God who creates us in love. Then, for us, too, the Gospel becomes Good News. We recognize with wonder that God does not dwell on high but on a level place among us. We recognize that rich or poor, joy-filled or sorrowful, we are blessed because God comes down into our real lives, our daily routines, our actual struggles, and abides with us and in us. And when we know that Jesus speaks to us, we cannot help in turn but speak those words of blessing to God’s suffering world. [i] Yancey, Philip. The Jesus I Never Knew, 115. 1908 was the year. Karl Benz had introduced the first road automobile to use an internal combustion engine in 1885, but it was in 1908 that the first Model T Ford rolled off an assembly line in Highland Park, Michigan. It was in 1908 on the streets of New York City that the number of automobiles surpassed the number of horses for the first time. [i] After that, the transformation was so swift as to cause whiplash. Horses had been the primary means of transportation since 3000 B.C., and all that changed in a heartbeat. Almost immediately after the ascendancy of the car, automated taxicabs followed. The taxi medallion, that iconic license to operate a cab, became for most of the twentieth century an investment as rock solid as gold. A dozen years ago in San Francisco, taxi medallions sold for $250,000. It New York City, they went for upwards of $1 million. [ii] As recently as 2006, New York taxi medallions were advertised with this tagline: “In New York, the capital of world finance, the hottest investment isn’t stocks, bonds, commodities or even Manhattan apartments. It’s taxi medallions, the metal plates affixed to the hoods of the city’s 12,779 yellow cabs.”[iii] Entrepreneurs and family patriarchs alike would invest in a taxi medallion as the safest of bets. Then, in 2009 Garrett Camp and Travis Kalanik launched a little company named Uber, through which one could summon a complete stranger through a smartphone (which was itself a new thing) and take a ride in his Toyota Corolla. A decade later, according to Forbes Magazine, Uber and Lyft control 70% of the business traveler market in the United States, while the taxi industry controls 6%. [iv] (Yes, you read those percentages correctly.) New York City taxi medallions have lost 85% of their value. They’ve crashed faster than tulips in seventeenth century Holland. Harvard University business professor Clay Christiansen coined the term for such phenomena: “Disruptive innovation.”[v] Initially, in its nascent moments, such an innovation is received by people as novel and whimsical. People see it as intriguing but don’t detect the portent that the innovation may redefine their entire lives. (Think of old, grainy photos you’ve seen of the very first automobile drivers in their goggles and gloves, smiling blithely as they pass horse-drawn wagons on dirt roads.) But then, as the full impact of the innovation slowly dawns, lighthearted infatuation gives way to wary apprehension, followed by startled anger and fear as the full implications of what is occurring settle in. Life is disrupted. The world is changed. What was thought to be reliable and valuable suddenly doesn’t seem so. Nothing can ever be the same again, and there is no going back. In today’s Gospel passage, the good people of Nazareth react. At first, Jesus’ performance seems novel and even whimsical. The son of Joseph the carpenter, who left home months (maybe years) before on a hair-brained journey to follow his crazy cousin John, has come home and taken the place of a teacher in the synagogue. And, to his fellow Nazarenes’ surprise, Jesus recites well. Jesus’ neighbors and kin are casually intrigued. Word has previously reached Nazareth about Jesus’ remarkable acts in other towns around the Sea of Galilee. The people of Nazareth hope that Jesus will, perhaps, offer them a parlor trick or two. Some may even imagine that he’ll set up shop now that he’s home and draw a little more business to their tiny town. Life will go on as usual, except that Jesus will add a dash innovation to their mundane lives. But Jesus keeps talking. He’s not a sideshow, he tells them. He is a prophet, and more than a prophet, and he hasn’t come to tweak the town and add spice to their lives. Jesus has come to disrupt their lives, to change their world. He has come to claim Isaiah’s future-oriented prophecy as his own present mission. They’ve all been blind, Jesus says, but his Good News will give them new sight. What they had thought was valuable in the world isn’t really so. They will come to value what God values, to love what God loves. Now that Jesus is there, nothing will be the same again, and there’s no going back. For the neighbors and kin of Jesus, the full impact of what they’re hearing slowly dawns. Casual infatuation shifts to wary apprehension, which morphs quickly into seething rage. 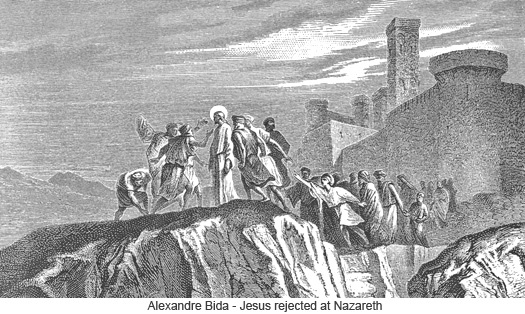 The good people of Nazareth don’t want their world disrupted, and so, Luke tells us, they physically manhandle Jesus south of town to a precipice and prepare to throw him off the cliff. Here’s the thing: You can’t kill disruptive innovation that way. Try as they might, the taxi lobby hasn’t slowed Uber and Lyft down. I suspect the horse-and-buggy cabal probably sought to stop the automobile, but to no avail. When one stands at the precipice of a value-altering disruption, a world-changing innovation, rage and bluster may grant momentary satisfaction, but they do nothing to stem the tide. One can check out and leave the grid entirely, or one can align one’s life with the new reality. Those are the only options. The pain is no less real when our lives are disrupted by the Gospel, but then it is the pain of shedding things that are not God’s good for us, the pain of giving up commitments that are not in keeping with Jesus’ vision from Isaiah, the pain that is a necessary part of healing our spiritual wounds. 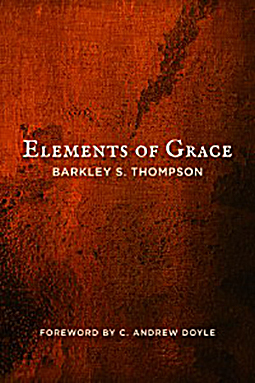 The pains of Gospel disruption, individual and social, are always Good News. We are the Nazarenes. We hear the words of Jesus, and we are casually infatuated. We enjoy the aesthetics of worship. We like that when we are low Jesus buoys us up. But Jesus is about more than that. He is a prophet and more than a prophet. Jesus is God incarnate, and especially in this Epiphany season, he bestows upon us new eyes to see the world completely differently. He redefines what is valuable in this world and in a life. He shows us what to love and how to love. And now that Jesus is here in this space and has entered into our lives, he will not leave. 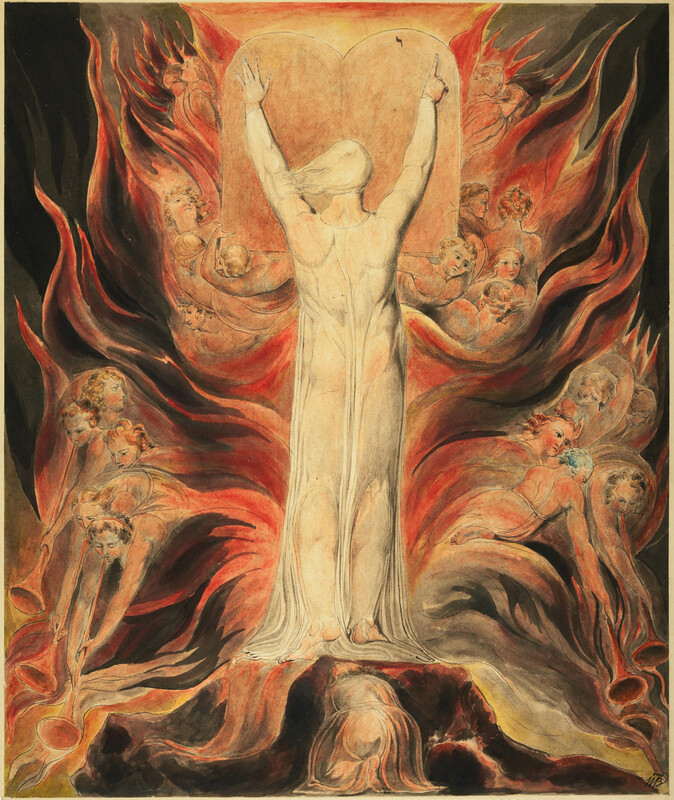 He is the cosmic disruptive innovation, through whom God is remaking the world, and it turns out that it is us, and not Jesus, who stand at the precipice. Will we go off the grid and pretend that nothing has changed, or will we, blessedly, realign our cares, our loves, our lives to his new reality? It hurts to be disrupted, but it is also the way to new life, and that abundantly.